Is your residential or commercial property overassessed? With the California real estate market on the upswing, what kinds of properties are over assessed by County Assessors? One huge area is new construction. Generally, County Assessors are very aggressive in valuing new construction, whether residential or commercial, so these reassessments should be reviewed and likely appealed. There is no downside in filing an appeal because if you can’t get a reduction you can simply withdraw the appeal. New construction in California creates a new “base year” value for the improvements. The land is protected from increase by proposition 13, but the new improvements represent property that must be reappraised. And the new assessed value is permanent, so reductions will benefit owners (or tenants that pay property taxes) for as long as the property is owned. In California, base year appeals must be filed within 60 days of the Notification of Supplemental Assessment in order to get the reduction effective as of the date construction is completed. You can also file an appeal during the regular filing period for three years after the Assessor changes the roll value. If effective, these reductions are prospective, but still permanent, so well worth reviewing. The regular filing period in California begins July 2 every year and ends either September 15 or November 30, depending on the county. 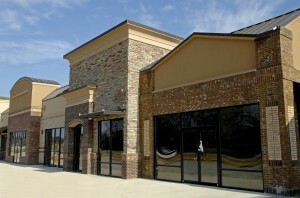 If you own commercial property in California, call us or click here for a free commercial property assessment. This entry was posted in Blog and tagged commercial property, tax apppeal on July 23, 2015 by c06577603.